I've been wanting to get my hands on some more Liz Earle products after I discovered the cult classic, hot cloth cleanser in a beauty box a little while ago. I have a few friends who swear by anything and everything Liz Earle, so of course, I had to check it out for myself. Long days in the day job, long nights in front of the monitor blogging sure do take their toll, throw in some busy weekends, moving house, and all that life entails and well, it certainly starts to show! No amount of sleep can disguise tired, puffy, black ringed eyes when they get past a certain point of neglect. I've always been a fan of eye creams and lotions but finding the right one that ticks every box and doesn't irritate my eyes is so hard, it's almost not worth it at all! Insert the Liz Earle Eyebright Lotion! Supposedly, this little beauty, filled with naturally active ingredients is the answer to all our eye woes. So, what's in this little bottle then? It's highlighted ingredients include; cornflower, witch hazel and aloe vera. Now, I don't know about you but I've never been too keen on putting witch hazel near my eyes, I've always associated it with acne treatment, but, it turns out it's amazing for reducing puffy eyes and soothing over-tired eyes. The same goes for the aloe vera, it's a wonder at reducing redness and calming the eye area, and ever so gentle on even sensitive skin. Cornflower is an anti-inflammatory, further reducing puffy eyes, and is often used for treating painful and irritated eyes. I've never used a lotion on my eyes before, I've always found them a little too greasy and oil based, so I've stuck to gels mostly. 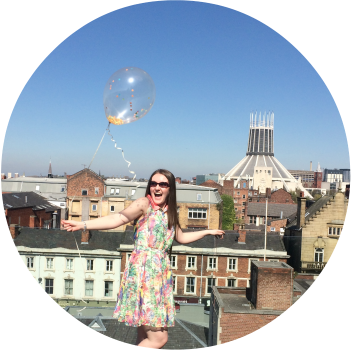 But, in the interest of beauty blogging, I gave it a go. I've been using the eyebright twice a day, morning and evening, after cleansing. They say it can be used to remove light eye make up but I still find The Body Shop's Chamomile eye makeup remover the best for this, so I go in with that first and allow the skin to dry naturally. Once dry, I apply a few drops of the eyebright lotion to a cotton pad and hold, gently, over each eye for about 30 seconds, then slowly sweep around the eye area. Never pull on the skin around the eyes, it's so delicate and sensitive and doing so will cause lines and wrinkles! Slow and steady here ladies! Surprisingly, it doesn't feel oily or greasy at all, it's very cooling on the skin, making your eyes feel instantly refreshed. The skin doesn't feel greasy and dries matte. Once dry, I've had no problem applying make-up on the eyes. They also say it's suitable for contact wearers but I can't comment on that, glasses all the way for me! Overall, I'm impressed. I wouldn't say I'm sold just yet, but I've worked my way through around 50ml of the Liz Earle Eyebright Lotion and it's been a joy to use, but as for the effects? My eyes don't look that different. The skin feels softer and my eyes do look fresher immediately after using it, but as the long days wear on, my eyes give away just how tired I am. It's a great addition to the pamper night routine and does perk me up when I'm feeling less than my best, so hopefully with further use, I'll start to see some bigger, more noticeable, improvements! 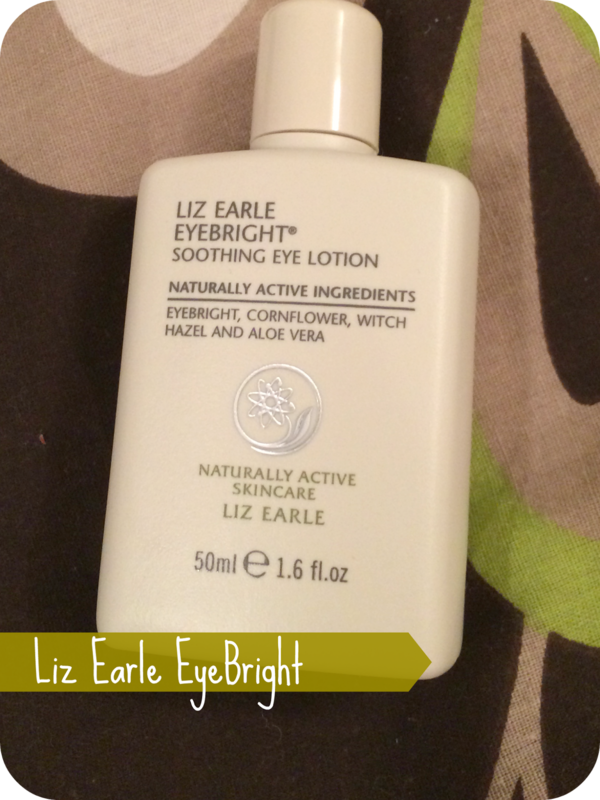 Have you tried Liz Earle's Eyebright lotion? Let me know in the comments below! I'm always looking for an eye cream! I'm the same as you, I stick to gels. I love keeping them in the fridge and using them in the morning (I love the Clarins one!). I've never tried Liz Earle though!